Dealing with aphasia can be a long, hard road for many. Thankfully, there are organizations dedicated to helping and supporting that journey. Meet the Minnesota Connect Aphasia Now (MnCAN) and the services it provides to people who have aphasia. 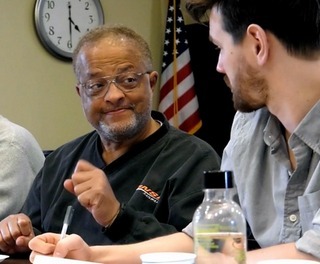 Since 2000, six aphasia conversation groups were developed in the Minneapolis/St. Paul area by Speech Pathologist, Dr. Cindy Busch. These six groups formed the basis for Minnesota Connect Aphasia Now (MnCAN), which was created in 2014 with great volunteer effort. Inspired by people living with aphasia’s need for support to build communication strategies and practice using them, MnCAN has grown to 11 aphasia conversation groups facilitated by ten speech pathologists in Minnesota. In 2015, Voices Moving Forward was started by MnCAN specifically to support people with aphasia though music. MnCAN’s goal is to improve the quality of life for individuals living with aphasia by supporting increased communication skills, participation in their communities, and achievement of personal and communication goals. 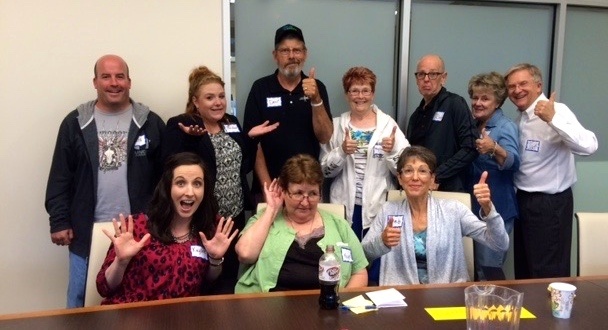 Besides the core aphasia conversation groups, MnCAN’s goal is to foster specialty groups to include creative writing, speaker’s bureau, an aphasia acting club, and book club. In addition, “MnCAN’s plan is to develop a much-needed, coordinated continuum of care for people with aphasia beginning with the acute care hospital discharge,” says Julia Halvorson, MA/CCC-SLP, Executive Director. Aphasia Ambassadors Mike, Teresa, and Brad are just a few of the group participants who have referred acquaintances to the groups, illustrating the need for information about resources and continuity of care for people with aphasia. Mary is a care partner who recently shared her frustration with having to navigate the system for services after therapy was completed for her husband with aphasia. She found MnCAN groups and other resources through much searching. Now, Mary wants to help MnCAN share and coordinate the resources in our area. There is a growing need in outstate Minnesota (known as the parts of the state outside the Minneapolis-St. Paul region) as well, where resources are more limited than in the metro area. With the help of family members and local speech pathologists, more groups will continue to be developed outstate. For more information about MnCAN and how you can help, check their website at www.mncan.org. If your organization or one you attend would like to be spotlighted on Lingraphica's blog, please fill out our Aphasia Group Submission form.